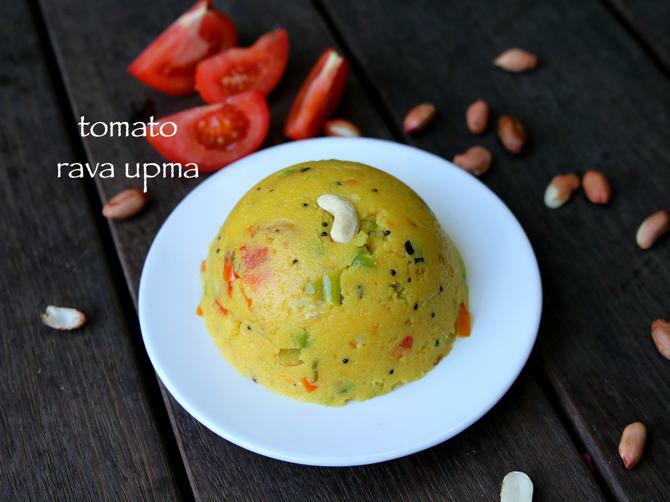 in my native place i.e in udupi, tomato upma recipe is a popular breakfast recipe for any festival or auspicious occasions. actually it is popularly served with avalakki upkari which is commonly known as concrete in a sarcastic way. i personally like just the tomato rava upma recipe without any extra side dish too it. for me a cup of masala chai with ghee generously topped on tomato rava bath is heaven to me. where as my husband taste is quite different and he prefers to have rava kesari or poha as side dish with this. 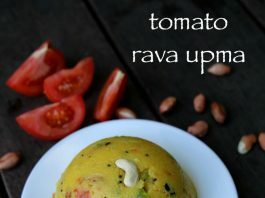 before jumping into the actual recipe, some tips and tricks for a perfect and flavoured tomato rava upma recipe. firstly, i have roasted the rave before preparing the rava upma. while it is not mandatory and if you are running short of time you can totally skip it. roasting the rava would deny forming lumps. 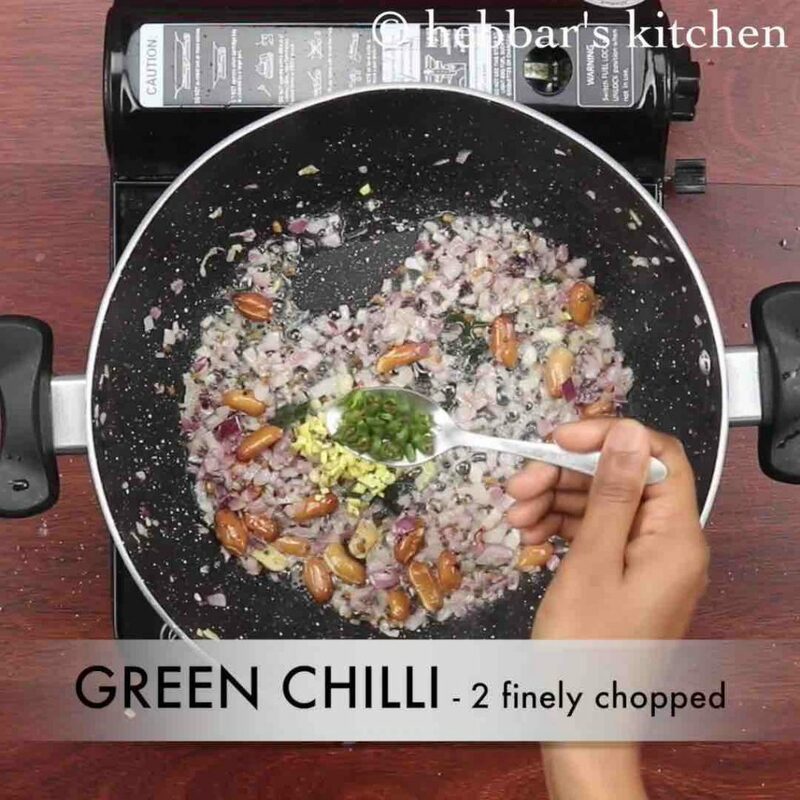 secondly, i have just added green chillies without any other spices. optionally you can add vangibhath masala or bisibele bath masala. 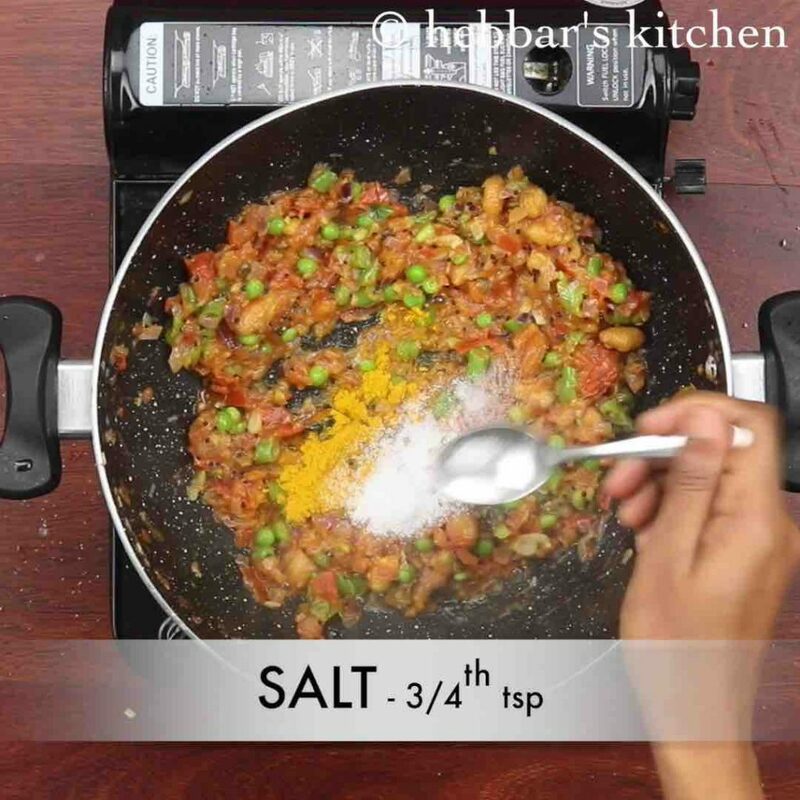 lastly, you can extend this recipe by adding veggies like, carrots, capsicum, corn and even gobi. but make sure you finely chop these veggies before adding them. 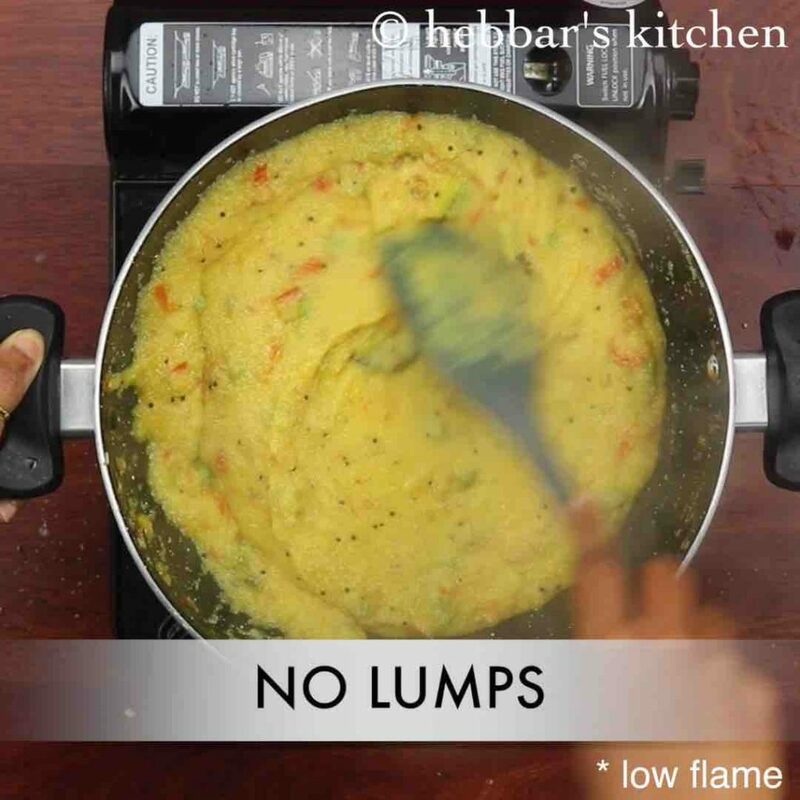 firstly, in a large kadai heat 2 tbsp oil and splutter 1 tsp mustard, ½ tsp urad dal and few curry leaves. 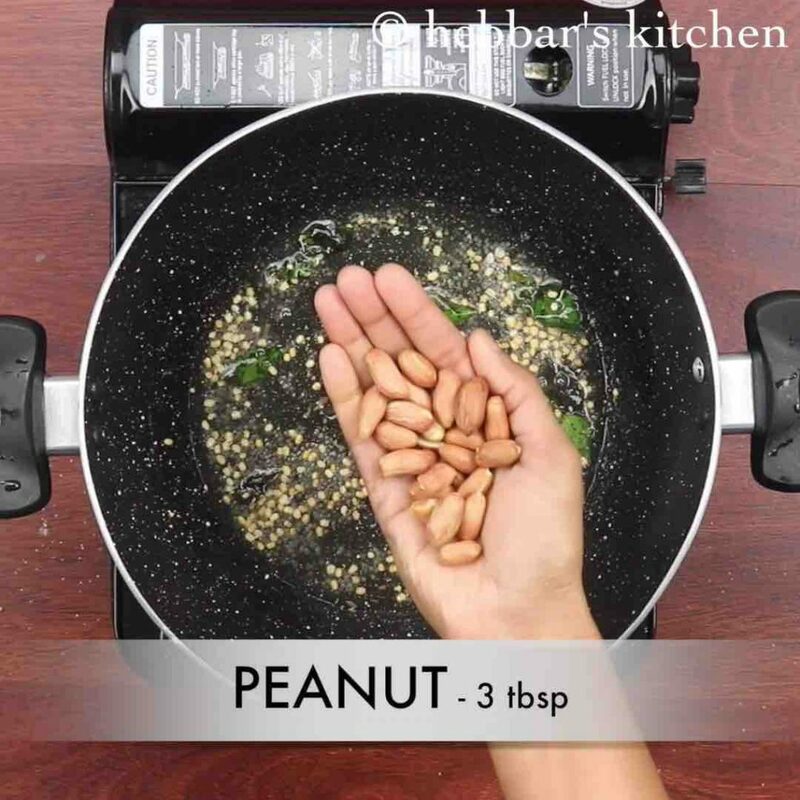 also roast 3 tbsp peanuts till they turn crunchy. now add ½ onion, 1 inch ginger, 2 green chilli and saute well. furthermore add 2 tomato and saute till they turn soft and mushy. 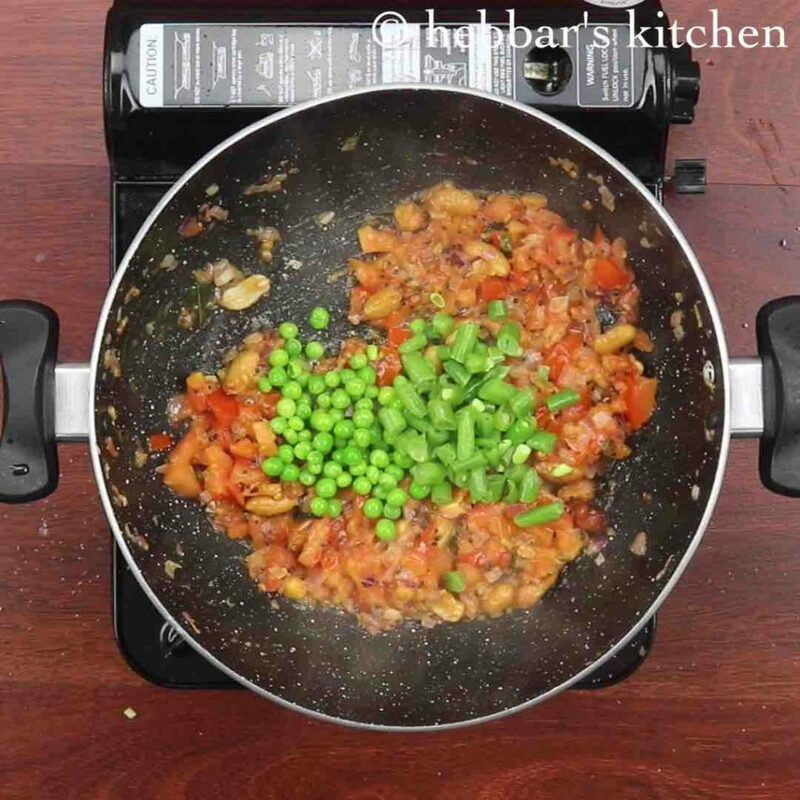 now add vegetables like 2 tbsp peas and 2 beans. saute till the vegetables get cooked well completely. 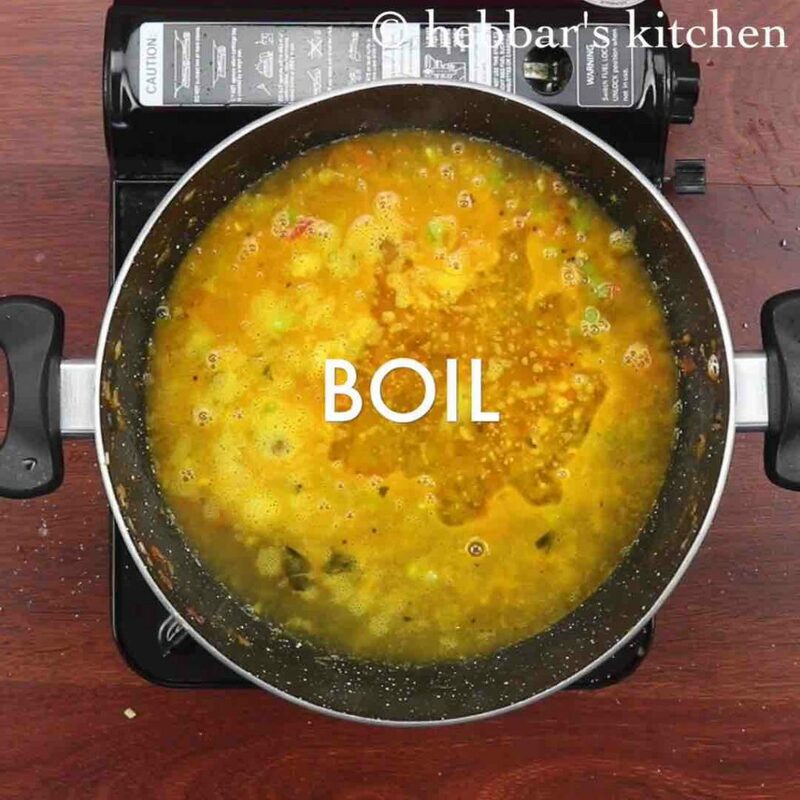 add in ¼ tsp turmeric, ¾ tsp salt and ¼ tsp sugar. saute on low flame for a minute. 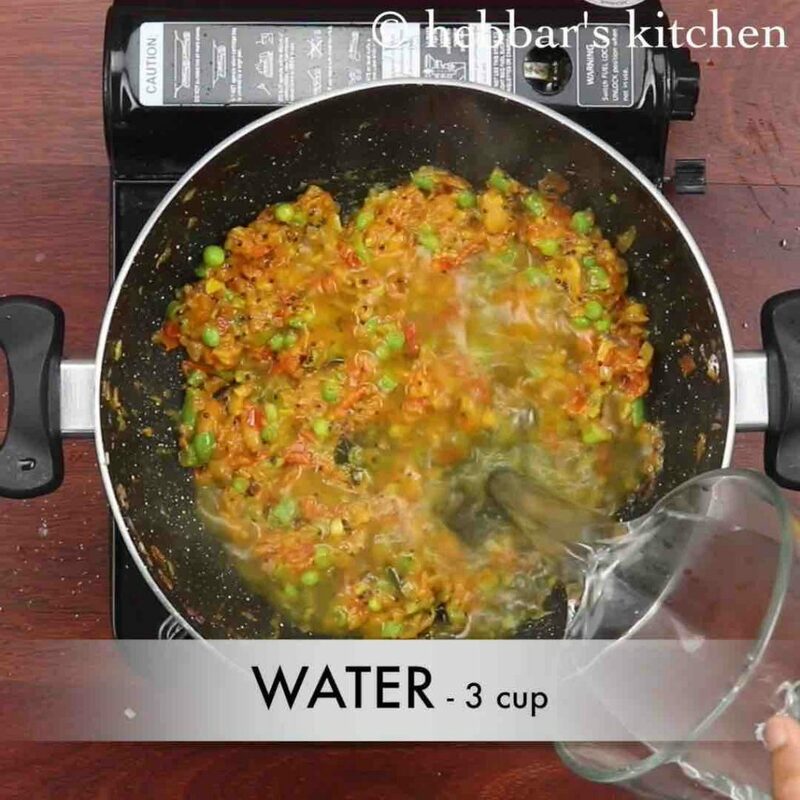 pour 3 cup water and add 1 tbsp ghee. get to vigorous boil and mix well. keeping the flame on low start adding roasted rava slowly, stirring continuously in another hand. 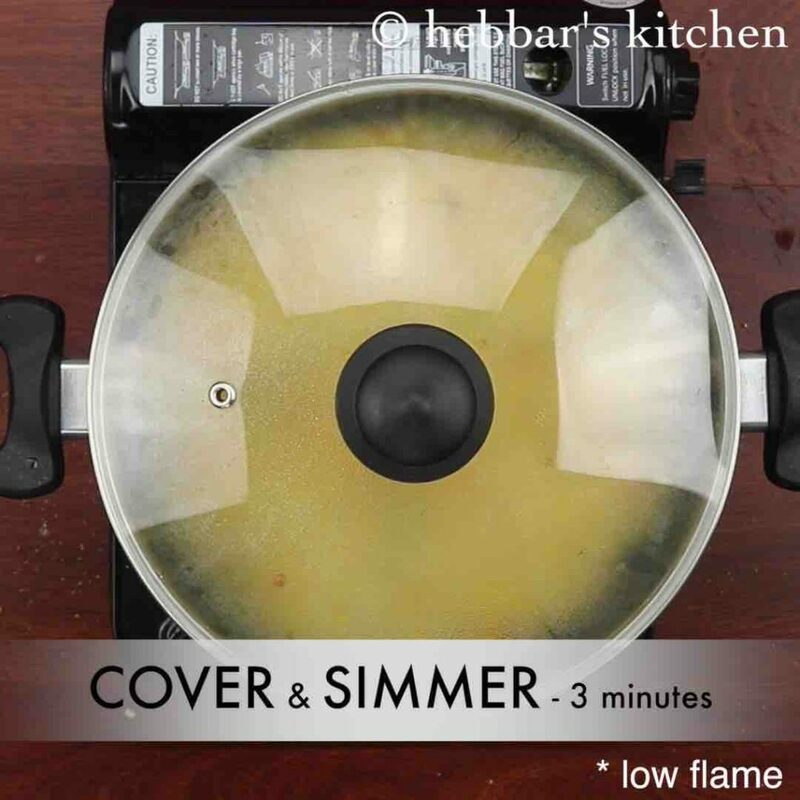 cover and simmer on low flame for 3-5 minutes or till tomato upma is cooked well. 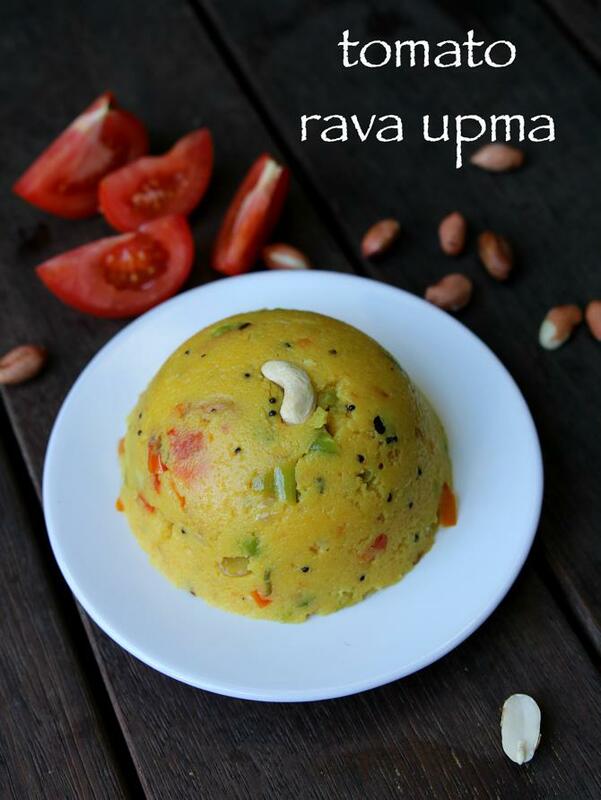 finally, serve tomato rava upma / uppittu with coconut chutney, rava kesari or plain. 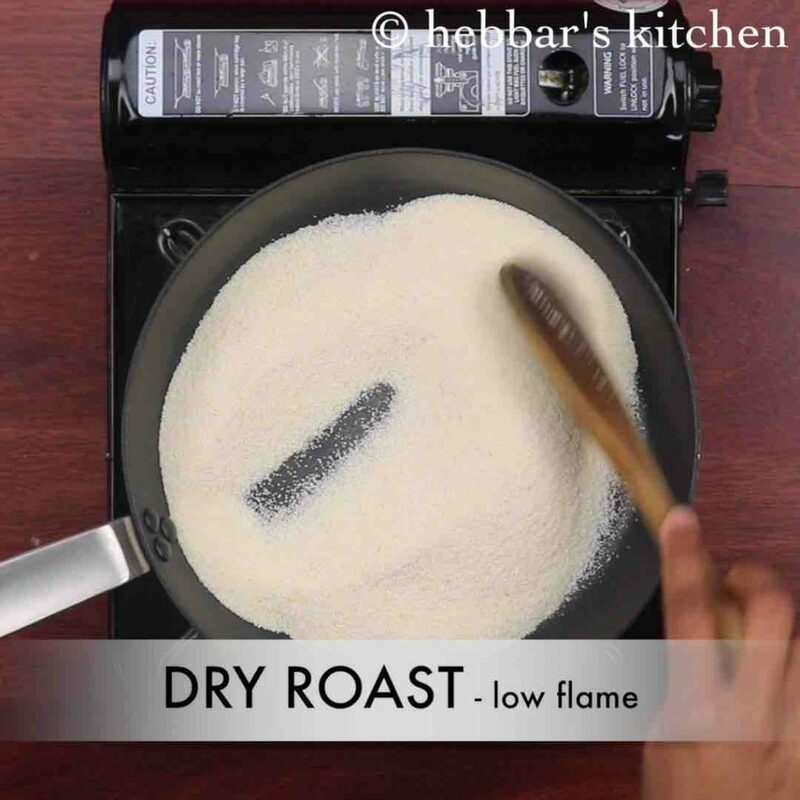 firstly, dry roast 1 cup rava on low flame for 3-5 minutes or till rava turns aromatic. keep aside. 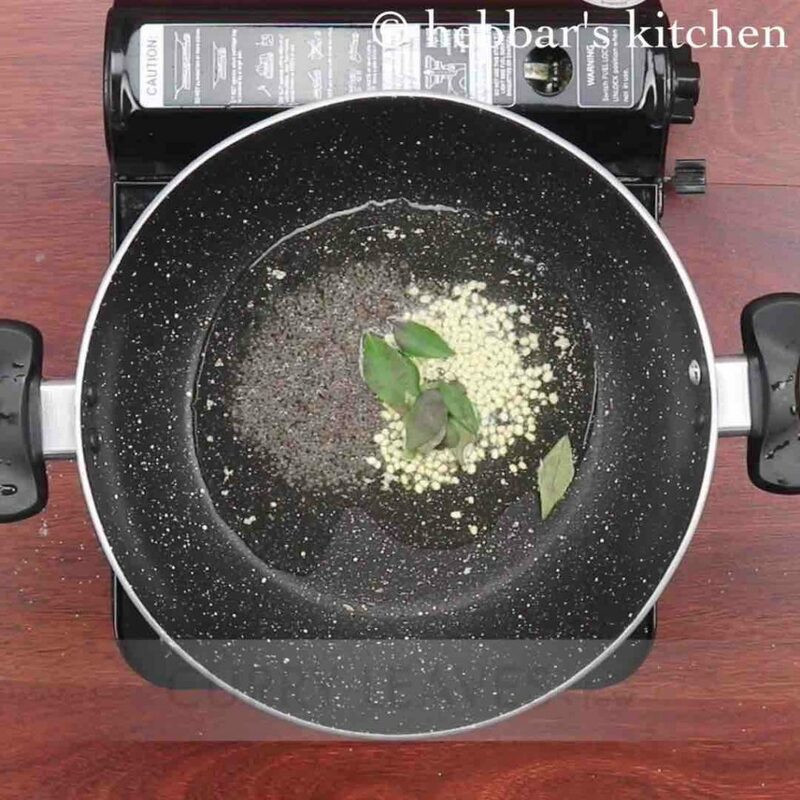 in a large kadai heat 2 tbsp oil and splutter 1 tsp mustard, ½ tsp urad dal and few curry leaves. 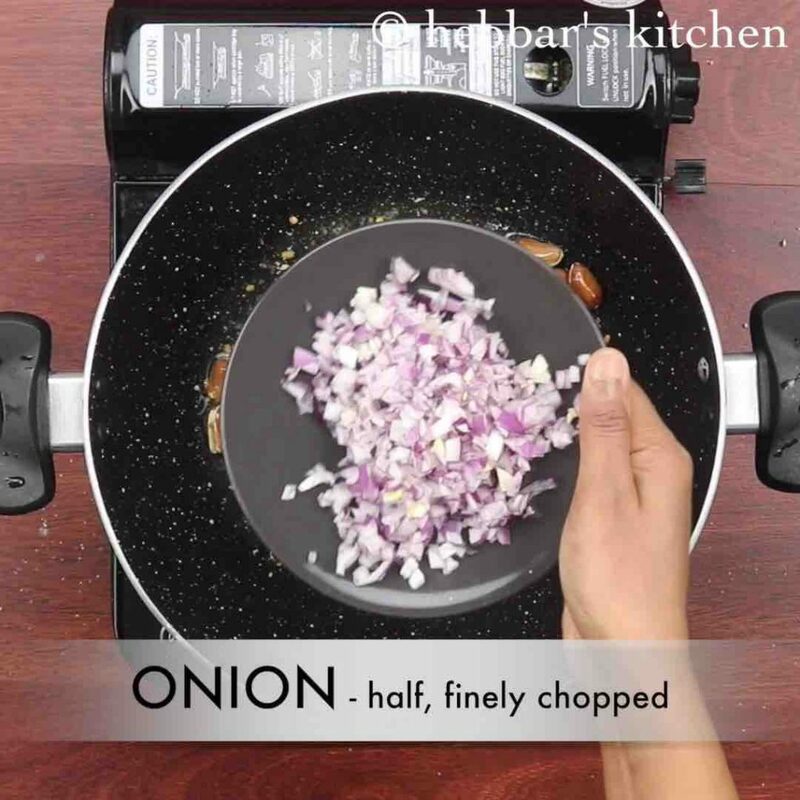 now add ½ onion and saute till the colour of onion changes slightly. additionally add 1 inch ginger, 2 green chilli and saute well. this helps to prevent from any lumps formation and rava absorbs water. 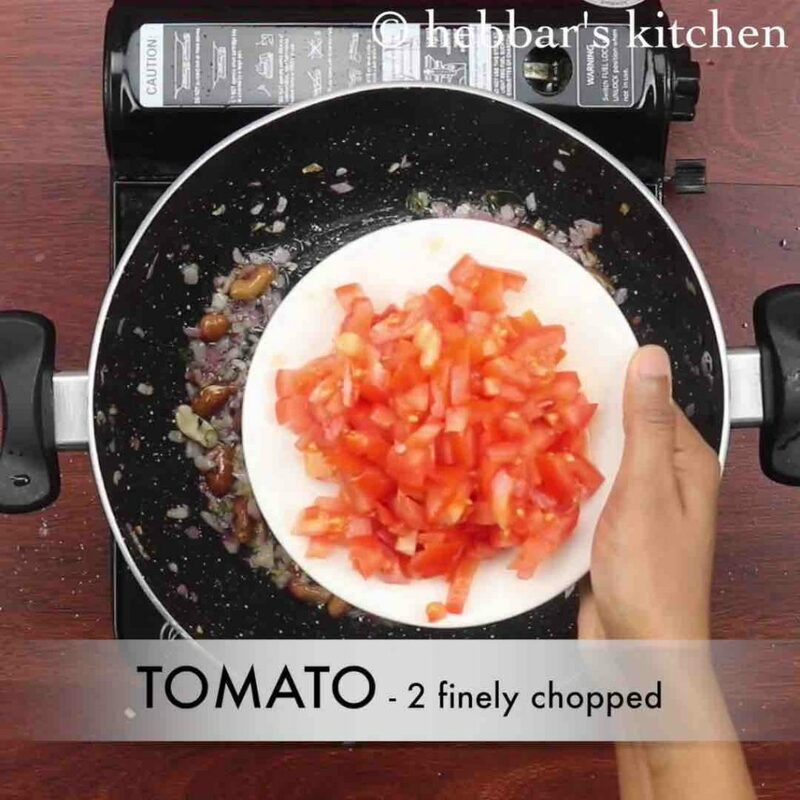 firstly, use ripened tomato for more rich flavour. also add vangi bath masala powder along with turmeric for variation. additionally, adding ghee makes upma more soft and moist. finally, tomato rava upma taste great when served hot. Tried this and everyone loved it. Thanks! 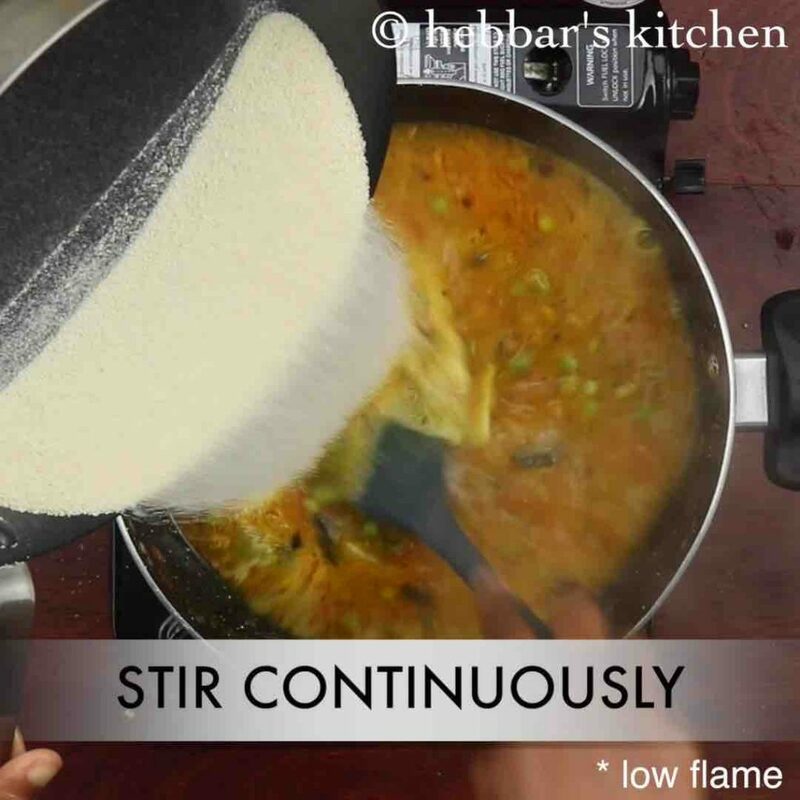 Mam tried this recipe today, cane out really well.